If you are a regular reader of Diabetes Strong, you probably noticed that I often wear my Dexcom CGM on my upper arm. It’s one of my favorite places to wear the CGM but it can be a little tricky to insert it without help until you learn the technique. As you can see, it really isn’t that difficult, but I still recommend havening someone around to help the first time you try it. My upper arm is one of my favorite CGM placements for several reasons. I get very accurate readings. The only downside to wearing it on the arm is that wrestling off a sweaty sports bra without getting it snagged on the sensor can be a little tricky and getting the hang of inserting it by yourself might take a little practice. I usually wear the CGM for 7-9 days. After that, it will start irritating my skin or give inaccurate readings. Why doesn’t Dexcom recommend wearing it on your arm? The Dexcom G5 sensor is only FDA and EMA (The European Medicines Agency) approved for 7-day wear (I know people who’ll make it last 30-days or more) and only for insertion on the abdomen. The placement approval is mainly due to Dexcom only submitting clinical data for abdomen wear to the FDA and EMA rather than them finding other placements to be worse. However, wearing it like I do is off-label usage and doing so is “at own risk”. If you liked this video, please sign up for our newsletter (and get a sign-up bonus) in the form below. 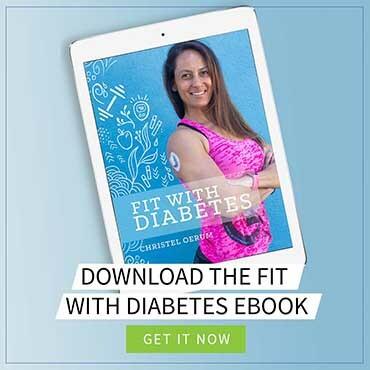 We send out a weekly newsletter with the latest posts and recipes from Diabetes Strong. I’m looking forward to the Dexcom G6, in Germany, the system is not so long, get my tomorrow. The only thing that bothers me a bit, that you should do it on the stomach, find the solution on the arm better, because of sports, sleep, etc. Not so much body fat through sports, had previously FreeStyle that was just optimal. Great videos / page. Yes, I watched her video, I think it will also test on the arm. What I also noticed is that the mobile app is only compatible with a few Android devices, was previously synonymous with FreeStyle Libre, but now the app from Abbott runs on almost all devices, hope that Dexcom also creates. I loved the G4 receiver, the new receiver is big and bulky and the case doesn’t fit properly, you have to modify it with an exacto knife to be able to plug in the charger. The G6 sensors consistently lose signal even when the receiver is less than three feet away. I’m awake half of the night with signal loss alerts. You may not have to calibrate it, in fact they holler at you if you do, but at least you don’t have constant signal loss alerts. I just started the dexcom g6 and I love it one have no negatives to say about this I can tell where my sugar is at n my husband can press the home button and see where I’m at which he loves, I also love the fact that it will wake me up in my sleep to tell me if I’m high or low. I don’t know what I’d do without my dexcom g6! It’s a huge life saver!!! why is this necessary? Will it hurt? I was told it was only for 10 days. I am very scared to do this because I just got on medicare and I have aarp medicare complete ppo and I dont think my insurance will pay for it. What is the cost on this gadget? If I refuse to get it due to costs, what else could I do? CGM is approved for some, you’d have to look into whether it is for you. The Dexcom CGM is 10 days, other systems have a longer lifetime. It might not be the right choice for you and the alternative is doing finger sticks or other systems like the Abbott Libre, Medtronic Guardian Connect or the implantable Senseonics CGM. What a CGM can do is give you real-time information on your blood sugar as well as alarms and alerts if they are about the get out of range. If you’re on insulin it can literally be a lifesaver. 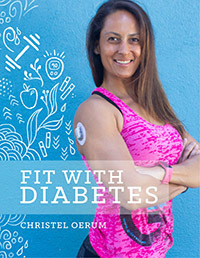 Hi Christel, I’ve been a type 1 Diabetic for 38 yrs and i walk and jog every morning. I would like to find out what protein shake would I be able to drink before I go out to do my work out. Maybe you have a recipe that I can use.